Please note that Das Bierhaus will be closed from 12/2 until 12/9, so that we can take care of a few things before the holiday season kicks in... We look forward to seeing you again soon! Our apologies for any inconveniences and we thank you in advance for understanding. Call 802-881-0600 or fill out the form below to make a reservation. If made online, please wait for your reservation to be confirmed by us via email. 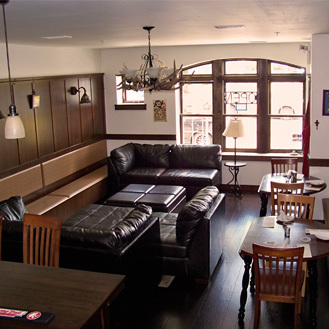 Each of the three floors at Das Bierhaus can be reserved for private parties. We would love to work with you to make sure that your event is perfect and effortless. Please contact us today for more information. Call 802.881.0600 to reserve Das Bierhaus for your reception or party.